When you finally step into a BMW vehicle and turn the ignition, it is a beginning of a whole new perception to the driving experience. You can be sure that every single design that comes out of the Bavarian Motor Works (BMW) is a high performance and high quality prestige vehicle. If you really want to experience a BMW top performing auto, then you certainly need to pay a visit to Budds’ BMW car dealership in Hamilton to learn more about the various new cars that are available. At Budds’ BMW in Hamilton, the full range is broad and diverse. The 1 Series is the starting point, which is basically an affordable introduction to the finest in German engineering. As the first foray into the prestigious car brand, this is actually a great choice and you will certainly find out exactly why BMW has garnered such a solid reputation for offering the best in motoring. 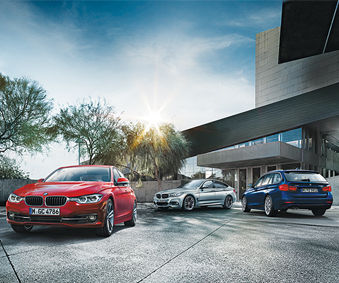 The 3 Series BMWs are in fact the biggest selling vehicles in the BMW new car Hamilton cache. The cars in this particular band are still amazingly affordable, yet include most of the innovative BMW mechanical and technological features. The exterior of the vehicles in the range are stylish and sleek and will get you noticed quickly as you zoom about. The BMW 5 Series remains the world’s best-selling premium executive car, continuing its path to success with various design refinements and new standard features on all models including a classic sport leather steering wheel, LED fog lights, and enhanced Bluetooth with USB and Smartphone integration. These cars are normally considered to be some of the best sports performance cars globally. There are so many impressive features that are included with the cars for example; adaptive headlamps, active cruise control, the iDrive feature, which basically sees all features of the vehicle electronically controlled. The BMW 6 Series Coupé and the BMW 6 Series Convertible are a unique combination of agile dynamics and exclusive elegance. The BMW 6 Series Gran Coupé continues this philosophy in an intelligent and consistent way. If you are looking for something that is going to turn heads on the street as well as a top-performing car, the BMW 6 series is a perfect choice. The BMW 7 Series is the top of the range and actually the substance of fantasy as far as new cars in Hamilton go. These vehicles offer the last word in luxury and offer you a memorable and comfortable driving experience with a lot of power under the hood. You can easily get from 0 to 60 miles in just 4.5 seconds and the models handle just like an absolute dream. As always, BMW is the spirit of revolution and innovation. There are numerous reasons to purchase a BMW – every single vehicle released comes with the latest features and technology in German mechanical engineering. You will always be sure of getting a car that is able to consistently perform to demanding standards for several years to come. On top of the amazing driving experience, the BMW badge offers you a prestige that is absolutely hard to replicate.